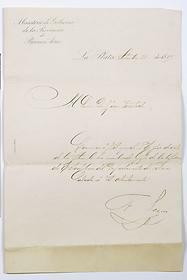 This letter was signed by Arturo Seguí, Minister of Government of the Buenos Aires Province. It says: "Ministry of Government of the Buenos Aires Province. La Plata 26 September 1889. To Mr. Juan Vucetich, I am writing to let you know that the Executive Power has issued an official resolution dated today appointing you as Head of the Statistics Section at the Buenos Aires Province Police Department. 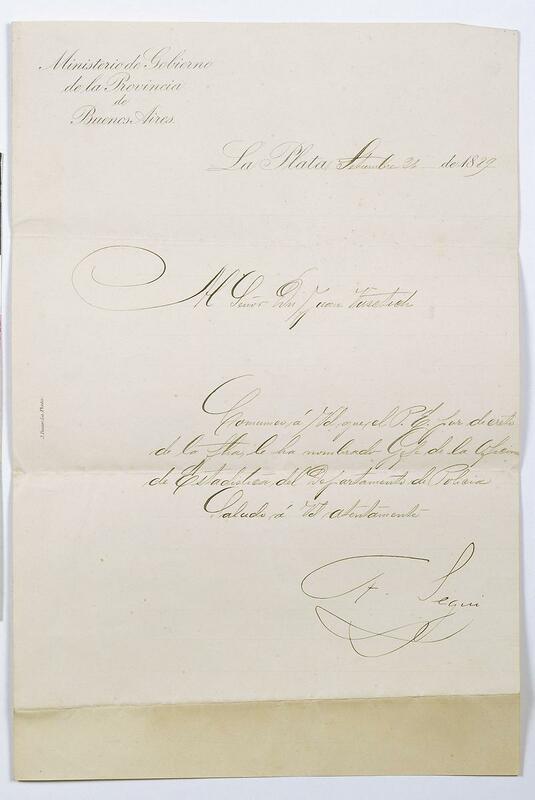 Sincerely, A. Seguí"